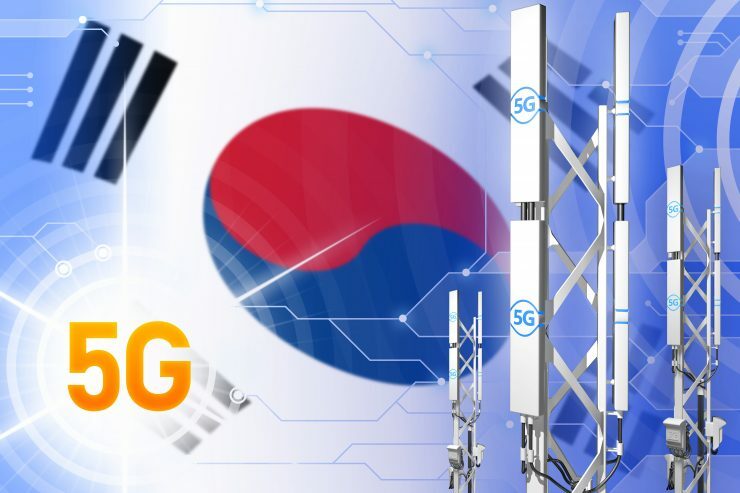 South Korea goes 5G – are telecom companies now poised to take over the UTM market? In April 5 Korea became the first country in the world to roll-out a 5G mobile telephone network. Earlier this year KT (formerly known as Korea Telecom) awarded Ericsson a 5G commercial contract to enable the nationwide launch of commercial 5G services in the country. Under this initial commercial contract Ericsson is providing 3GPP (Third Generation Partnership Project) standards-based 5G New Radio (NR) hardware and software from Ericsson’s complete 5G platform to cover KT’s 3.5 GHz Non-Standalone (NSA) network. The two companies are targeting drone management services as an early market opportunity for this new technology. 5G will massively extend the amount of data which can be communicated along with the range and robustness of the communications link. The advent of 5G will, believe many UTM experts, transform the drone management and flight control markets. The first 5G New Radio (NR) specifications were made available in June 2018; later releases of NR will be able to exploit frequencies beyond 52.6 GHz and by introducing artificial intelligence in the radio-access network. Earlier this year at CES 2019 Verizon Chief Executive Officer Hans Vestberg spoke of the quantum leap which 5G will bring to autonomous vehicles, advanced robotics, artificial intelligence and more – with major implications to the UAS sector. These include: mobile devices travelling at up to 500 kilometers per hour can potentially stay connected on a 5G network, and up to one million devices can be supported by 5G in a square kilometre; 5G network equipment and devices will consume only 10% of the energy consumed by 4G network equipment and devices, and specialized services that will operate on the 5G network will take much less time to implement; five millisecond end-to-end travel time of data from the mobile device to the edge of the 5G network – “faster than the blink of an eye, and 5G will be more than 99.999% reliable.” Mariah Scott, CEO of Skyward, Verizon’s UTM company, said Verizon would be the first company to connect 1 million drones to the 5G network. Even before mobile telephone consumers have bought their first 5G handsets Rakuten Mobile Network announced the successful completion of a large-scale trial of technologies in Japan that demonstrate the capacity for 5G infrastructure to manage drone operations (see table below) while Latvia’s LMT Innovations – a branch of a mobile telephone operator in Latvia – reported it was working on developing a new UTM system based on 5G communications to allow for beyond visual line of sight (BVLOS) operations. The 5G aviation revolution is already underway in Asia – and it is not confined to drone management. There is plenty of research (https://arxiv.org/ftp/arxiv/papers/1803/1803.11048.pdf) to show how mobile networks, especially 5G mobile networks, can add valuable services to the UTM system such as independent drone identification, authorization, and backbone communications for information distribution. The last two years have seen telecom companies developing increasing relationships with UTM service providers and ANSPs (see table below). 5G will take these relations in broader and deeper directions – but what are the implications for UTM service providers? 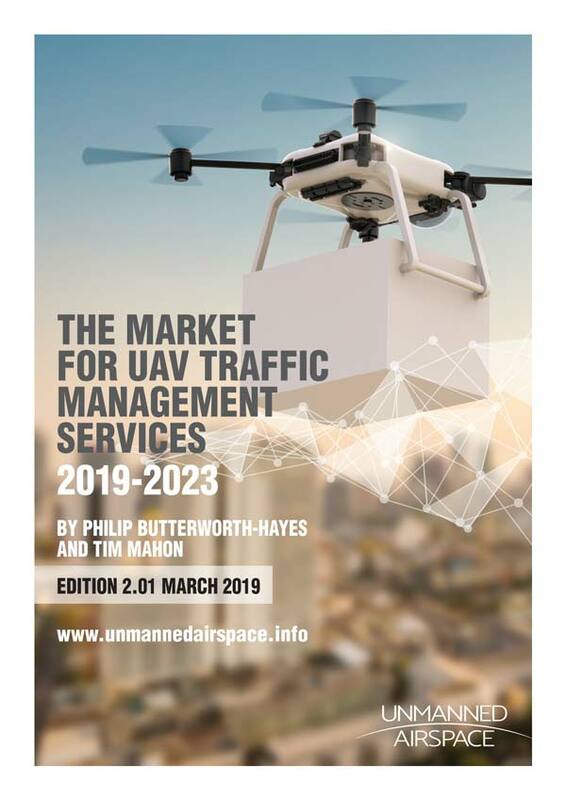 The introduction of UTM services has been largely overseen by national ANSPs – UTM service providers have been rapidly developing the core technologies to seamlessly link low level airspace management with mainstream ATM systems, under management of ANSPs. Within this relationship telecom providers have been seen as valuable infrastructure providers. 5G will change this relationship. Suddenly, 5G will elevate the role of the telecom infrastructure provider to an enabler of core aviation services such as drone detection and identification and the integration of IoT and artificial intelligence into the drone eco-system. In areas such urban air mobility UTM – in which ANSPs have arguably not yet found a clear role (will they be responsible for city UTM services or will this be the responsibility for cities themselves?) the telecoms companies now have a major, even dominant role to play. Introducing 5G services to airspace management for both ANSPs and UTM service providers will create major disruptions, not least because the relatively large sums of money with telecom providers can quickly invest in these new technologies. 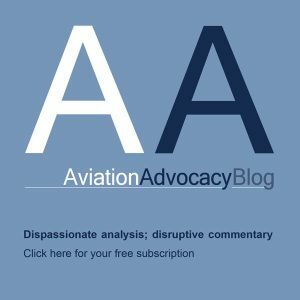 There remain major technical issues to be resolved around 5G connectivity for aviation – especially in the area of cyber security – but there is also now a possibility, believe many in the industry, that the role of many UTM service providers will eventually evolve from pioneering the safe integration of drones with controlled and uncontrolled airspace to becoming UTM software suppliers to increasingly powerful telecom corporations. 11/2017 Terra Drone Co Ltd launches a commercialized UTM system in South Korea in collaboration with LG U+, a South Korean cellular carrier owned by LG Corporation. 12/2017 Terra Drone and KDDI Corporation, a Japanese telecommunications operator have succeeded in a fully autonomous flight experiment of “Smart Drone” using a 3D map and drone port, say the organisations. 12/2017 Nanyang Technological University (NTU) and telecommunications company M1 are using the M1’s 4.5G heterogeneous network (HetNet) to fly drones, instead of the usual wireless networks. 12/2017 Rakuten AirMap announced the launch of the AirMap platform in Japan, including a solution for airspace management and authorization. 02/2018 Mobile telephone network provider Vodafone announces the start of drone tracking and safety technology trials in the UK. Vodafone’s approach uses 4G Internet of Things (IoT). In December 2018 Vodafone announces it has completed the UK’s first ever drone delivery over a mobile network. 03/2018 Germany’s air navigation service provider, DFS, and Deutsche Telekom announce their joint development of national UTM concept. 03/2018 In Japan NEDO (The New Energy and Industrial Technology Development Organization), KDDI (a telecommunications operator), Terra Drone (a Japanese industrial drone service provider) and SECOM (a Japanese security company) announce they have developed a network for controlling multiple autonomous drones carrying out security surveillance operations at a wide-area facility using a 4G LTE mobile communication network. 06/2018 Huawei Technologies Co., Ltd and Unifly N.V sign a Memorandum of Understanding (MoU) to cooperate in UTM. 09/2018 AT&T and Dedrone announce they are teaming up on a drone detection solution that helps protect military bases, venues, cities and businesses from malicious drones. 11/2018 Rakuten Mobile Network, Inc. announces the successful completion of a large-scale trial of technologies in Japan that demonstrate the capacity for 5G infrastructure to manage drone operations. 02/2019 Latvia’s LMT Innovations – a branch of a mobile telephone operator in Latvia – reports is it is working on developing a new UTM system based on 5G communications to allow for beyond visual line of sight (BVLOS) operations. 03/2019 The Swiss Federal Office of Civil Aviation (FOCA) launches the Swiss U-Space Implementation (SUSI) platform with initial member partners skyguide, AirMap, Swisscom, INVOLI, Wing, senseFly and Auterion.